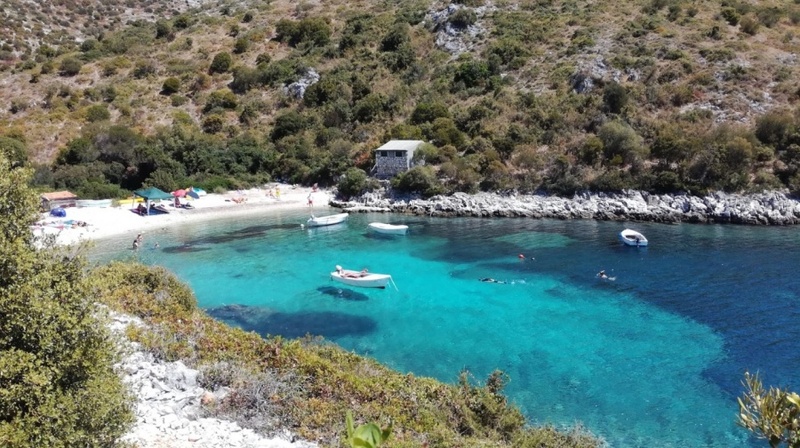 We bring you a list of the most beautiful beaches on Dugi otok with a large number of pictures for every beach, description and location. You can find more information on each beach by clicking on the link below the pictures of each beach. Sakarun is a sandy beach, the most famous on the island It is located on the northwest side of Dugi otok near Bozava, Soline and Veli Rat. With its view of the southern Adriatic, it will enchant you all the guests who want unforgettable moments in true natural ambience. Although the beach is shallow, only after a couple meters of depth reaches an average of 10 meters. The particularity of this beach and the colors of the sea that plagued it, gives fine sand, while on the shore is the thicker pebble, the so-called stone pebbles. The beach is surrounded by pine trees, which give their guests a natural shade. Telašćica - In the deep bay in the south of the island lies Telašćica bay. Telascica is located in the name Park Nature. All this area is surrounded by natural coves and beautiful beaches. 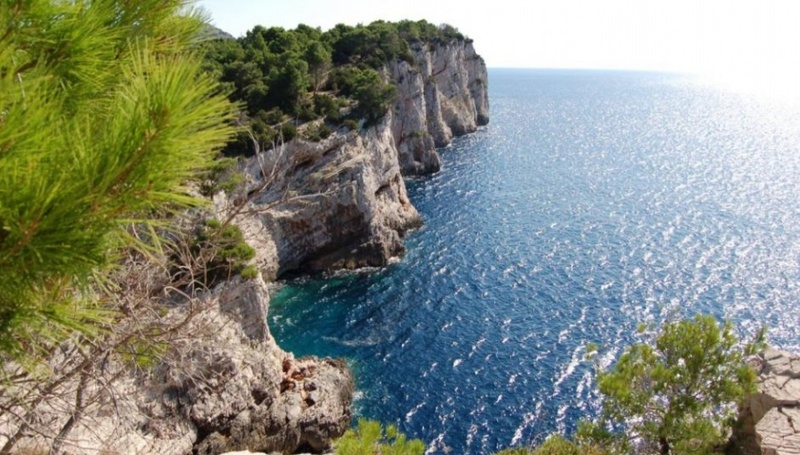 On the one hand, Telascica is covered by the already mentioned beaches, while on the other end are cliffs, covered with lush vegetation. The bay of this park is truly a beautiful sandy beach, which is visited by many sailors year after year. Veli Žal is another beach on Long Island. It is a pebble beach in front of the islet of Mežanj. The beach is located on the uninhabited part of Dugi Otok, and overlooks the open sea. If you go to Veli Žal, just follow the well-marked asphalt road, and after a short walk you are on the beach for 5 minutes. The beach stretches over a kilometer long, meaning that you will have more than enough space to choose from. We have already written that the beach is pebble, but it is in some places rocky, and the ground is covered with fine sand under water. Brbišćica Golubinka Dugi otok - On the west side of Dugi otok there is a natural phenomenon of the Brbišćica cave and next to its beautiful pebble beach. This whole area was built of carbonate rocks created a hundred million years ago. To this hidden piece of the island leads a small narrow road that I very steep on parts. Beach Lojisce - Hidden from many views, this beach has managed to preserve its intact natural appearance. It is located on the northern part of the salt lake Mir. Beach Lojisno is a quiet place, great for camping in nature. Distance from settlements is actually an invitation for true adventurers. If you come to explore and spend your vacation in untouched nature, this beach is your choice. Veli Rat is a beach located among the rocks, with a special natural environment. You can reach this beach by car, and continue on foot through the naturally formed rocks that hijack the beach. Enjoy the true natural environment, with no big crowds and a multitude of people passing by. Veli Rat is an isolated place where you can experience peace and quiet, rest with a reading or a light day dream. The pine forests will provide the necessary shade for their swimmers, and the natural pools in the sea will delight all the lovers in the unusual.